GitHub - maxgerhardt/omega2-lmic-lorawan: A port of Arduino-LMIC to the Omega2. Will support native SPI and SPI bridges. A port of Arduino-LMIC to the Omega2. Will support native SPI and SPI bridges. Want to be notified of new releases in maxgerhardt/omega2-lmic-lorawan? See the schematics folder for PDFs and Fritzing images. 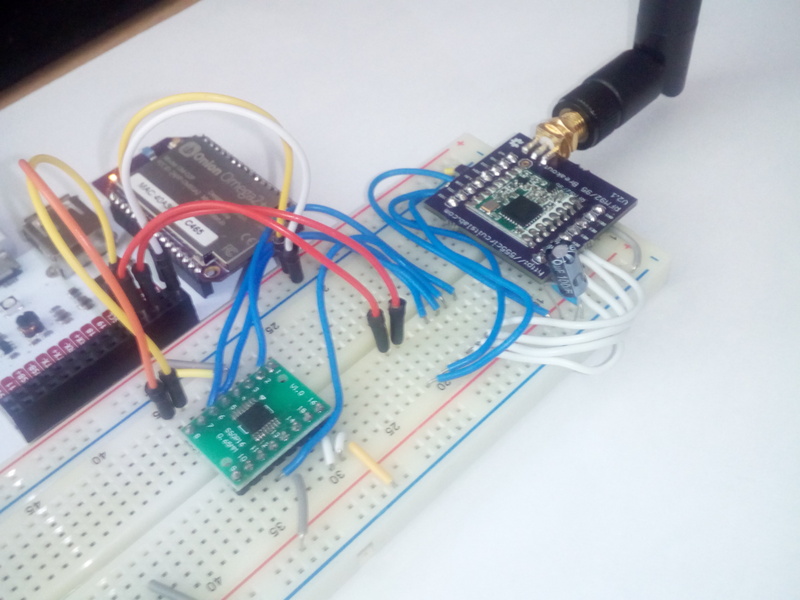 root@Omega-C465:~# ./lorawan_send  --payload "Hello LoRa!" --dev-adr "26011A84" --nws-key "removed" --apps-key "removed" -f "ascii"
0000  48 65 6c 6c 6f 20 4c 6f 52 61 21                 Hello LoRa! 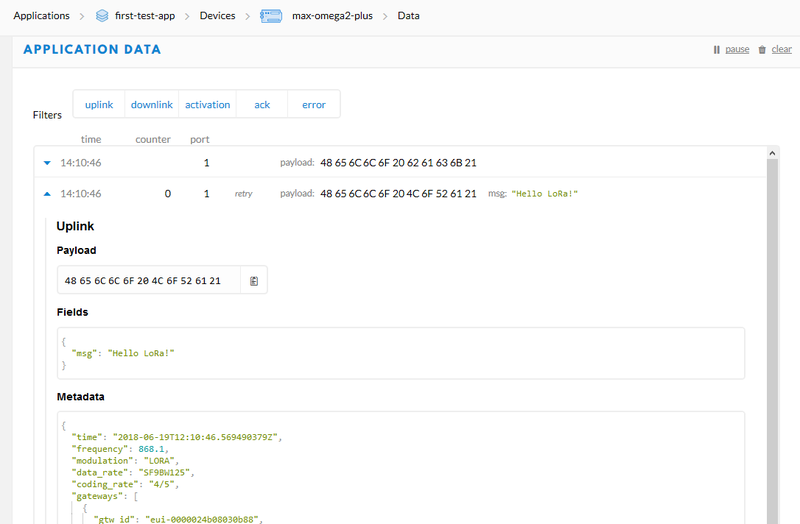 In the TTN console, create a new application and a new device. Set the device to use ABP, 16-bit framecounter and disable frame counter checks. The displayed keys in the console (device address, network session key, application session key) can then be used in the console applications. 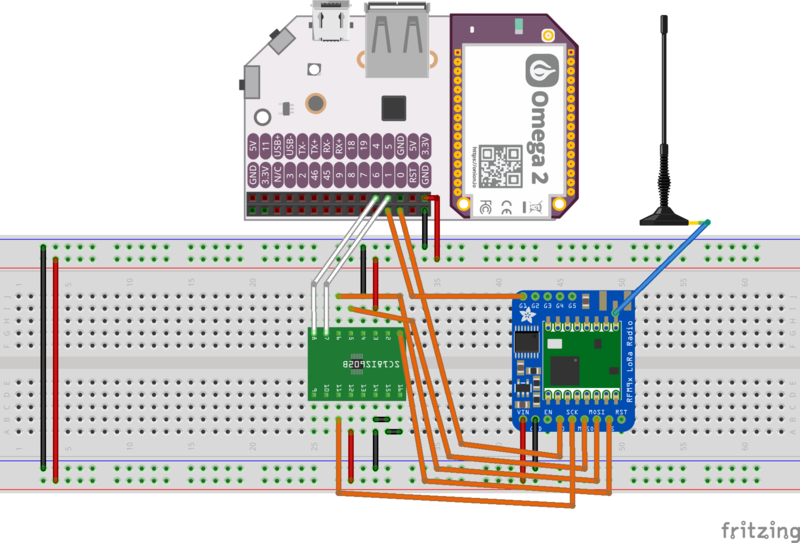 Transfer the binary executable lorawan_send to your Omeag2 and execute it with the needed parameters. Addressed ToDos are crossed out. The original code from LMIC see the License section at https://github.com/matthijskooijman/arduino-lmic. The command line tool code is also derived from the ABP example code.